Home → Exclusive Review → Nice…! 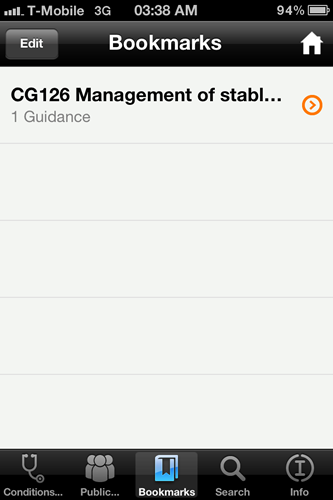 The app has the unremarkable name of NICEGuidance (Search for it in the App store) – It does exactly what it says on the tin. 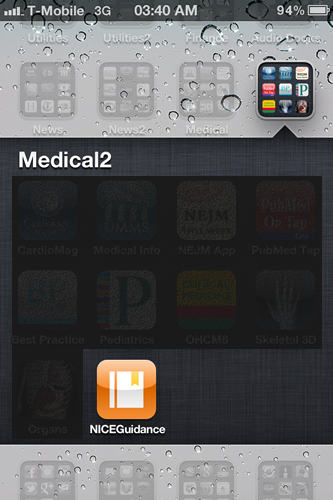 …and the all important search button. I consider this to be quite intuitive. This is powerful stuff! I counted 17 body systems ranging from Cancer, Digestive system and Eye to Infectious diseases, Musculoskeletal and Urogenital. Whilst Cancer is not a body system, it is a recognised clinical area. The key point is: It is intuitive. I cannot let strict adherence to some rules interfere with intuition. Are you getting the feeling I like this App?…..I am not done yet. These are great stuff. There are more of course. All on my finger-tip! And its up to date….I can prove it! As I was writing this piece, I kept getting pop-up telling me about Updates! (see pic below). This app has been developed very well from ground up with up-to-date information. I have no doubt that the structures and interface may evolve based on feedback but I have been very impressed with what I have seen so far. So if I am grading this app out of 10: What will it be? I’ll say…..9.99999998. I think if you have an iphone and you work in UK Healthcare, you must want to download this app…..P E R I O D.
There is an equivalent Android App on Google Play here (Search for NICE Guidance). I downloaded it and it works exactly like the iphone App described above. I like the fact that this great app is available across platforms. 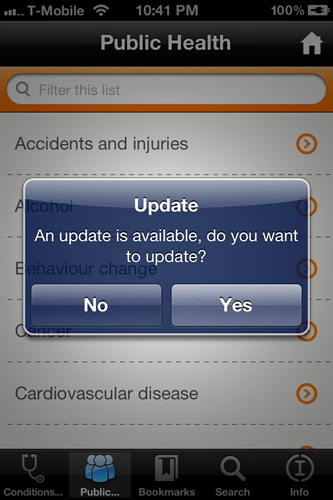 @NICEcomms @bookapharmacist Is there an Android App on way? @hosea4gomer @nicecomms I will check but maybe @NICEcomms has the answer to that at their fingertip.